IN an age of hi-tech toys and virtual entertainment, it has to be asked whether traditional games have had their cards marked. 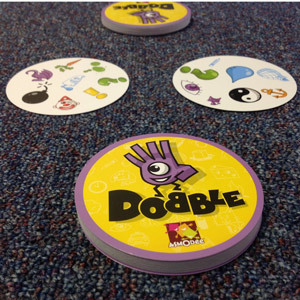 If new product Dobble, which is published by Asmodee and distributed by Alton-based Esdevium Games, is anything to go by, the answer is absolutely not. Bearing more than a passing resemblance in terms of gameplay to perennial favourite Snap, Dobble tasks up to eight players to spot an identical symbol on two cards, each containing eight icons ranging from snowflakes and dinosaurs to lips and cats. Through what appears to be witchcraft, any two of the game’s cards will only ever contain one matching symbol. The premise is simple and Army&You‘s willing young testers found the game easy to pick up when they put it through its paces. The frantic search for the matching symbol led to some fairly tense moments as our players scrambled to be the first to spot the common symbol. Although we only tested the game with two players, it is possible to get up to eight around a table to see whose reflexes are the sharpest. 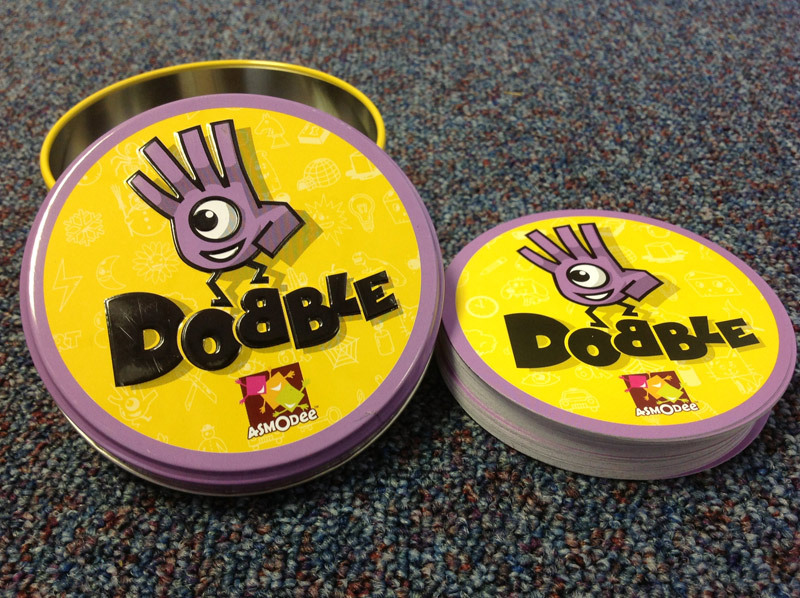 A clear set of instructions included in the tin also details a number of mini-games, each of which add to Dobble’s replay value and ensures that children will always want to dig this out and have another go. We also have to admit to having given Dobble a go ourselves and can happily report that it is as capable of reducing adults to ultra-competitive, shouty bags of nerves as it is its intended audience. With Christmas around the corner, the game’s price tag of a little over £11 (at the time of writing) makes it a perfect stocking filler for friends and family of all ages. I bought this for my two boys, Graeme and Steve, who are now Dobble addicts!! A great family game and easy to play on the move. I’d recommend it as a stocking filler.